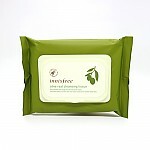 Radiante su cuidado de la piel con el [Innisfree] Olive Real Cleansing Tissue 30 Sheets, 150g! nuestro objetivo es ofrecerle los mejores productos coreanos para cuidar su piel, incluida Cosmeticos, Cuidado facial, Desmaquillante. Hydra Desmaquillante en línea. 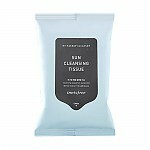 Olive Real Cleansing Tissue easily removes and cleanses makeup and impurities. and moist your skin. 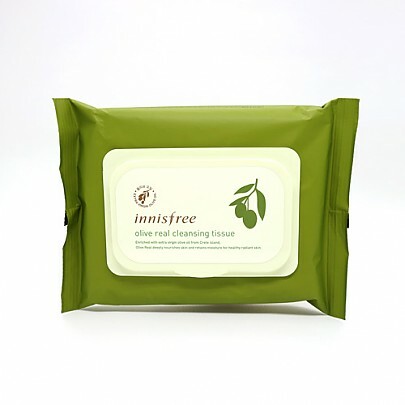 Olive real cleansing tissue contains rich moisturizing ingredients and vitamin nutrients from the finest grown olives. Innisfree delivers the true nutrients of clean and healthy organic olives from the pure Create island in the Mediterranean that offers the best environment for the olives to grow. 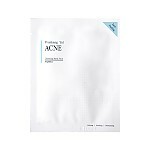 With its rich antioxidant ingredients and vitamin nutrients from the finest organically grown olives, this enriched hydrating cleansing tissue thoroughly remove makeup residues and impurities left inside pores with its soft and rich lather. Open the sticker and pull out a sheet to use. 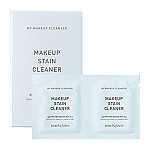 Gently sweep over against skin to remove makeup and impurities. Smoothly wipe off the eye area with your eye closed to prevent formula from getting into eyes. Rinse off with cleansing foam and lukewarm water. I love these. they are an easy, gentle way of taking off my make up..
che…@gmail.com They don't really get all of my eye make up off, I was just expecting them to be a little more affective on their own. 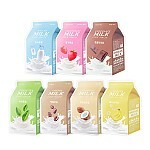 sin…@gmail.com I love to take this cleansing tissue everywhere. 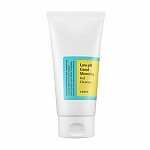 Very convenient and it is moisturizing. 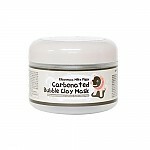 This would be Step 1 of your million-step Korean beauty regime! 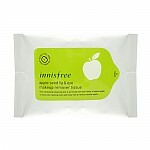 These wipes are smaller than your average (western) tissues, but there are more in a package. And honestly, you do not need bigger! These are very effective in removing (waterproof) makeup, which in turn avoids you rubbing over the same part of your skin over and over again - making it sore. 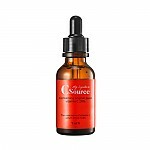 Consequently, your skin will actually feel refreshed and moisturised because of the oil; instead of sore and dry. I have normal/combination oily skin, and I do not shy away from these tissues. If you are not sure about it, just clean your face afterwards with a water-based cleanser, or, like me, use toner before you put your moisturise cream on.